Litigation support includes activities designed to prepare an attorney and their team to try a case. Often a lawyer will call on a practicing professional to help clarify key psychological elements of a case and to identify implications for the client and for the litigation plan. The goal is to present a convincing and compelling case to the court. Dr. Orlandini works with attorneys behind the scenes or onsite in court to help attorneys present their case. 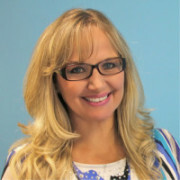 Dr. Orlandini’s services include, but are not limited to help explain mental health problems; analyze family issues such as sexual abuse, alcohol and drug abuse, emotional pain and suffering; examine contested divorce and child custody evaluations; and prepare a psychological evaluation or explain a plan assessment prepared by another professional. Dr. Orlandini can also help with immigration cases, particularly hardship cases where deportation could affect citizens left behind. She is fluent in Spanish and sensitive to aid in understanding the cultural effects on people. For example, a Latina female is more likely to listen to a man which may affect her likelihood of not reporting abuse or of being complicit in a crime because of susceptibility to male pressure. Dr. Orlandini can guide an attorney to a better understanding of the strengths and weaknesses of psychological issues in a case.